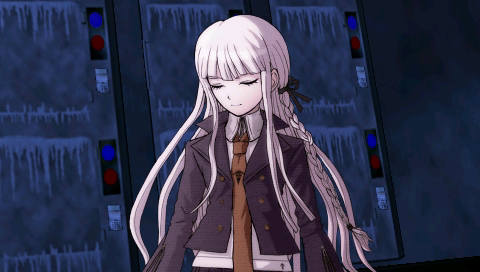 She isn't... dead, is she? It's cold here...! Too cold!! I'm going to get sick!! ...Well, you shouldn't fall asleep in a place like this. ...I was sleeping? 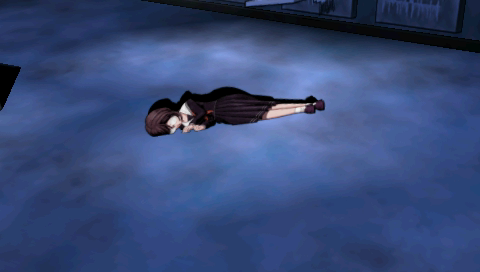 Oh, that poor girl must have lost her consciousness again! So, I guess you must have been standing there looking longingly at my sleeping figure, seized with desire!! No?! Was it lust, then? Enchantment?! 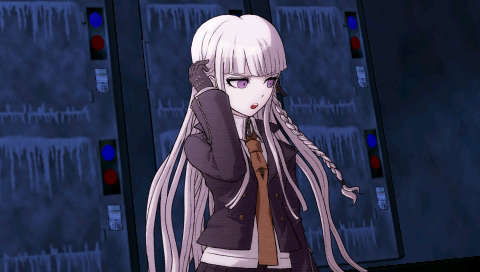 Um, why did you lose consciousness, anyway? No clue! I just woke up, you know!! Miss Gloomy must have done something stupid again! Exactly! We share knowledge but not our memories! ...And don't talk about it as if it's some kind of a character flaw! I prefer to see it as an advantage, personally!! I can remember things my other self can't, after all! That makes me twice as good!! 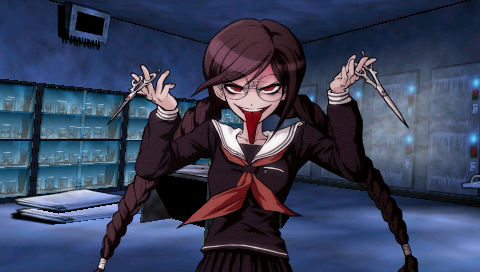 Genocider's secret was added to your notes. By the way, do you know where Darling is?! 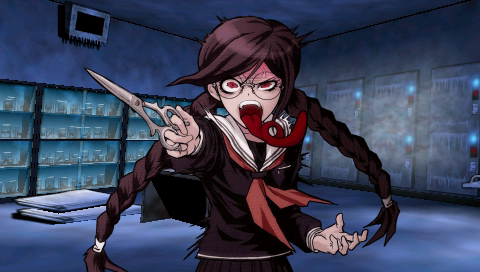 Tell or or I'll kill you!! I knew it! It's just as I thought! 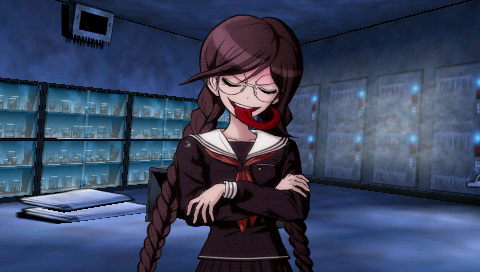 I'm a professional when it comes to Byakuya-sama, after all!! I have to hurry! He must be getting so lonely! 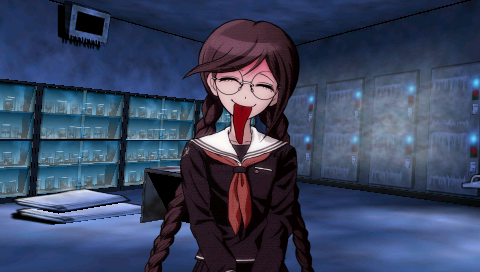 Laughing her creepy laugh, Fukawa-san ran out of the room. 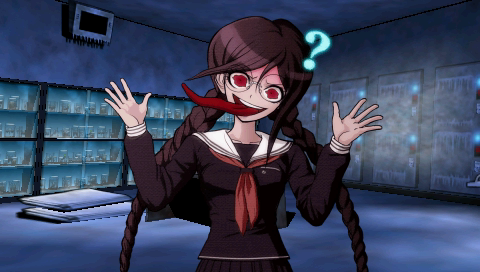 It's probably useless to ask Genocider about it, though. Besides, there are other things I have to check. I think it's right before my eyes. That body storage unit... It's open...! "That's what must have caused it." 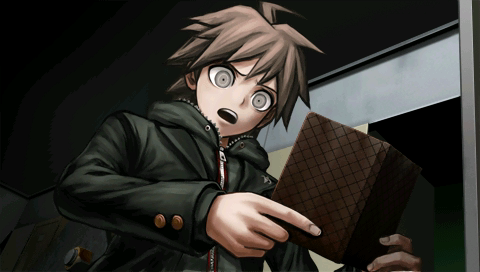 Naegi-kun. 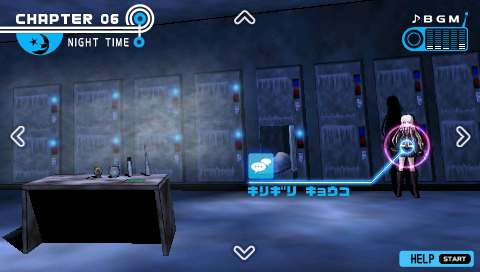 More importantly, is this room...? 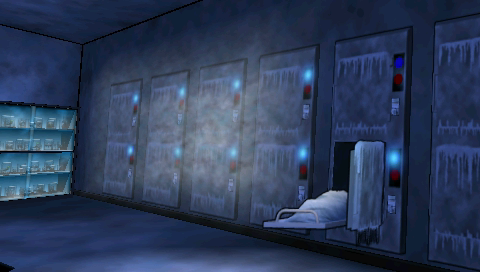 It looks like a morgue. Y...Yeah, I think so too. 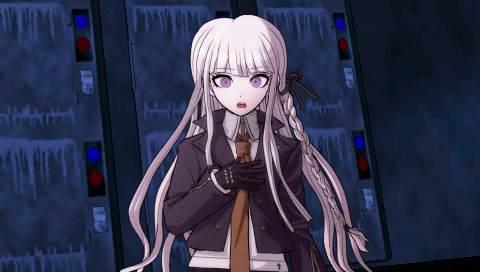 Wait, how did you even know she lost consciousness...? 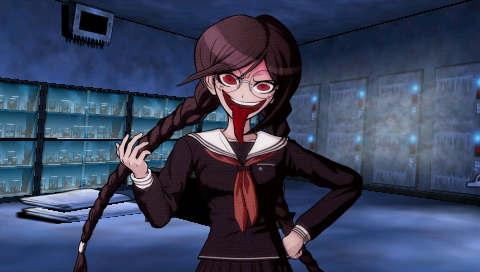 Genocider just ran past me when I entered the room. 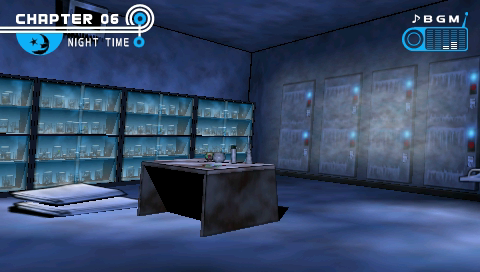 I thought she might have simply sneezed, but as soon as I saw this room I realized what must have happened. 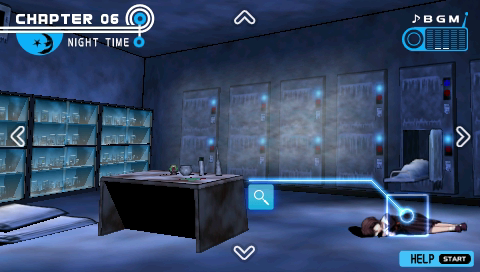 She tried to investigate this room, and ended up opening one of the units. ...That girl really is a scaremonger, isn't she. Anyway, let's put the body back where it belongs. We can't just leave it out in the open like that. It's best if we postpone putting the body back into storage for a little while longer. 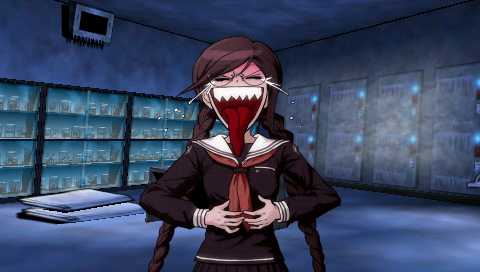 Because this is Mukuro Ikusaba's body. Are you sure?! 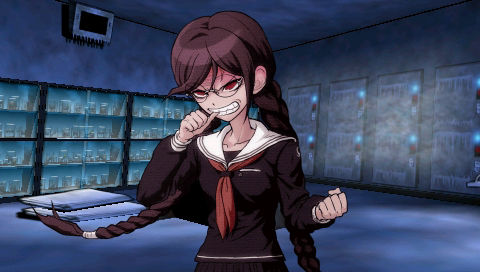 That's Mukuro Ikusaba inside this unit?! 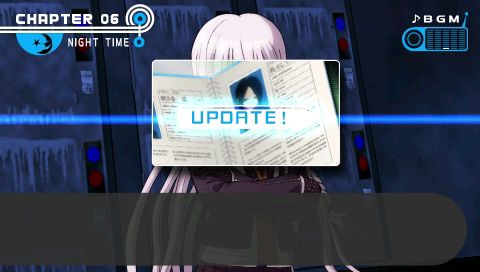 Whatever the case may be, at least I can investigate her body properly now. 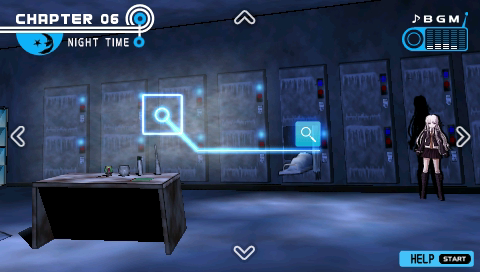 ...I'll show you how one properly investigates a body. This time, I'll find something helpful, for sure. 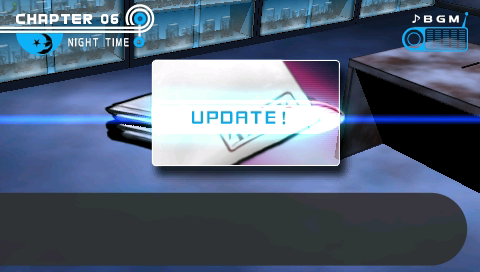 Something that will give us a lead on the mastermind's identity. So... What should I do while you're at it...? Just wait here until I'm done. I'll let you know what I found as soon as I can. So... Am I just supposed to stand here doing nothing...? Hey, here's someone who isn't running away from us. 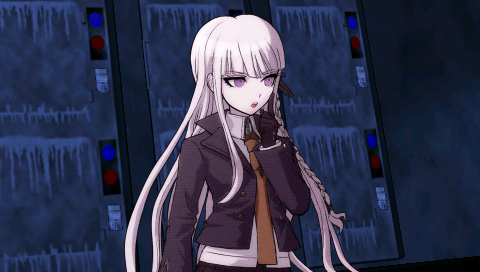 Maybe she knows something about Monobear's hint. 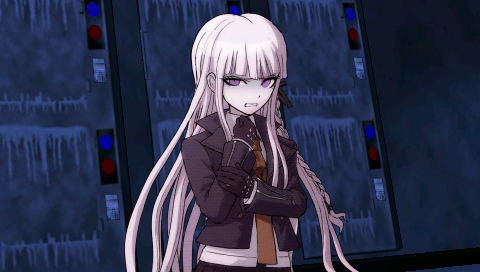 Oh, I'd better ask Kirigiri-san about that group photograph. I mean, she was in that photo too. 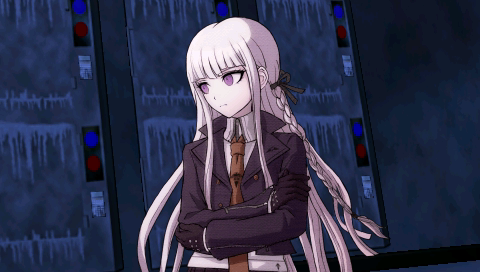 Hey, Kirigiri-san... Can I ask you something while you're working...? ...If it's about the hint he promised, I never went to ask for it. Choosing this time to give us a hint can't possibly be anything but an attempt to confuse us. 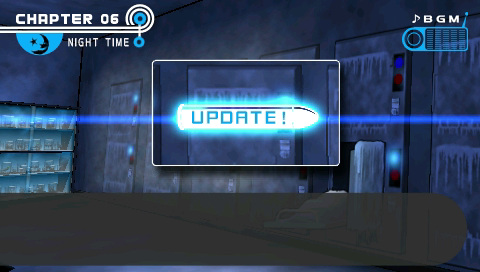 I don't need any hints from him. I can solve this mystery on my own. ...I can't imagine she's trying to deceive me. She's right. That mastermind prepared this photo just to confuse us. 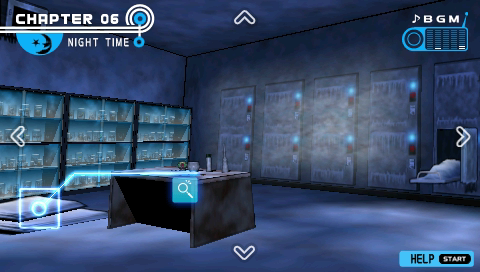 As long as we're waiting, let's see if we missed something in this room when we investigated it before. They look just like the tarp in the garden shed. ...had a "biology lab" label stamped on it. ...was undoubtedly taken from this pile. Tarp was updated in your notes. The units on this side of the wall have the indicator light on. ...there are nine units with the indicator light on. 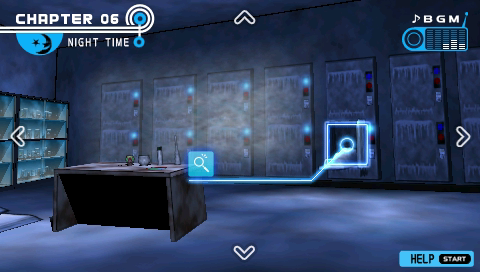 Biology lab indicators was updated in your notes. 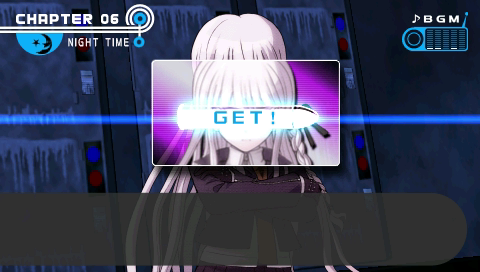 You've already finished?! That was fast! Anyone can work slowly. I'll make my explanation short as well. So, did you find any clues on the body? It's a little difficult to tell since the body was burned, but I don't think I'm wrong. In other words, is she saying both the knife wound and the head wound weren't the cause of death? 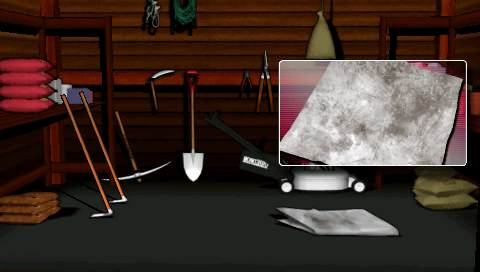 ...The Monobear File doesn't say anything about how long ago those wounds were inflicted. All it says is that they "were not inflicted during the last few days". It's very different. It gives a completely different impression. ...But that mental association is just a trick. If you're left with the impression of ancient scars, you'd never imagine those wounds are related to the murder, would you? ...Are you saying that's wrong? 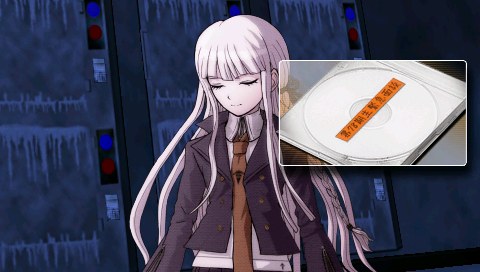 But, we were given the Monobear File immediately after Mukuro Ikusaba was killed, weren't we? 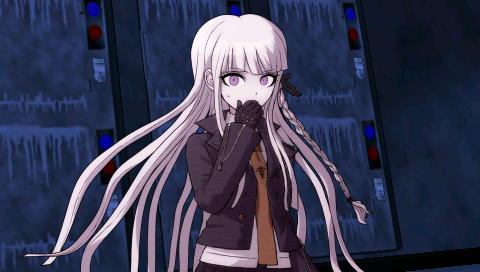 What if Mukuro Ikusaba wasn't killed during the last few days...? It's just one possibility out of many, but we mustn't overlook it. One possibility out of many...? Detectives do not posses any superpowers. We can't lead ourselves astray by a single, predetermined conclusion. Great detectives consider a great many possibilities inside their heads from the very beginning. We should ignore common sense, prejudices and preconceptions, and start by drawing up every conceivable possibility. Then, as the investigation proceeds, we should put those possibilities under scrutiny. 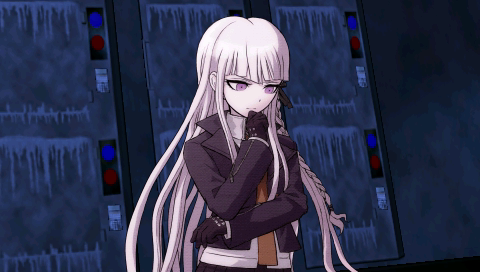 ...If you want to solve this school's mysteries, it's something you should try to remember. 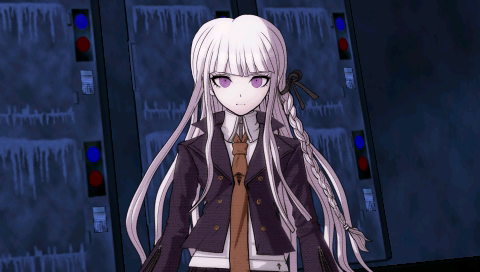 Kirigiri's testimony was added to your notes. If there is anything else you want to know about the body, now's the time to ask. This is probably our last chance to investigate it, after all. Oh, I do have something I want to ask. She was 169 centimeters tall, weighed 44 kilograms, and her measurements were 80 - 55 - 82... right? Those figures fit this body perfectly. She also has the Fenrir tattoo, so it can't be anyone else. 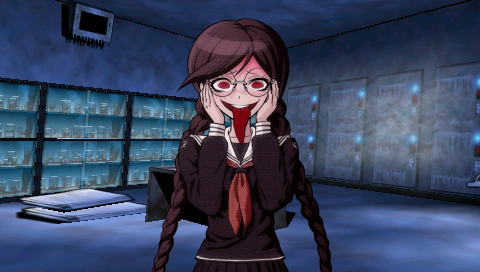 This body belongs to Mukuro Ikusaba...! 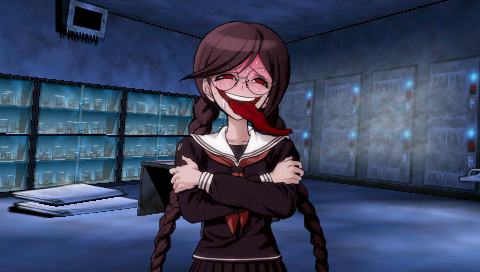 Mukuro Ikusaba's profile was updated in your notes. ...Is that all you want to ask? 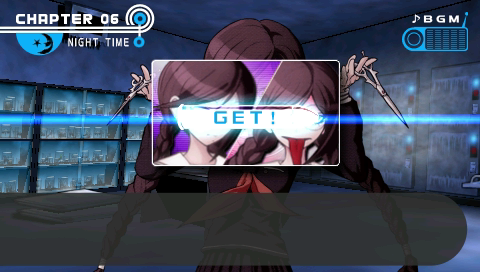 In that case... there's nothing else we can do with Mukuro Ikusaba's body. ...Let's go. 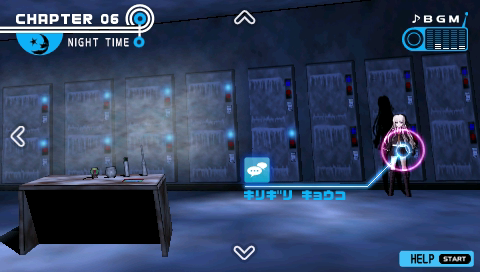 It's cold in here. Ah, wait a second... 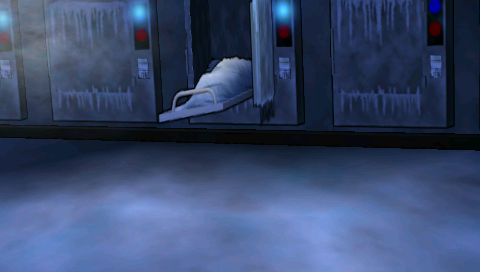 Weren't we about to put the body back in storage? ...Wouldn't you say that's just reaping what she sowed? You really are naive, aren't you. 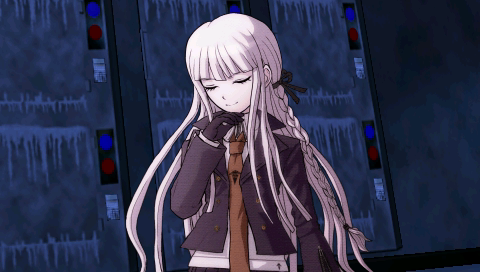 But then, Kirigiri-san came by and helped me seal the body up without raising a single objection. If I use her own words, does that make her "naive" as well...? 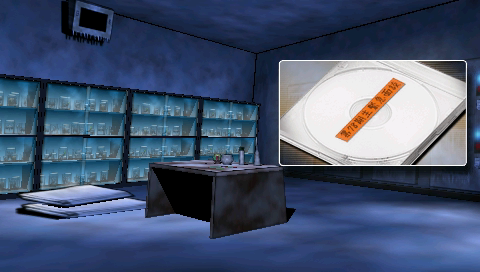 And with that, our investigation of this room is over. We should go our seperate ways again now. There's one more issue left. There's just one more thing I have to talk to you about. Have you really never met your father since you came to this school...? Have you been to the locker room in the dormitory's second floor? 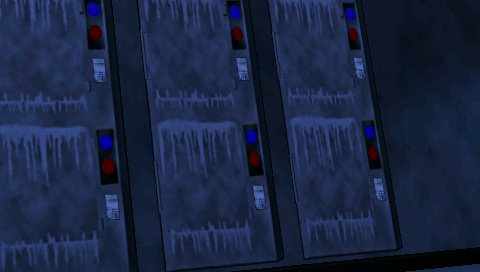 But the lockers all looked like they could only be opened with the owner's student ID card. 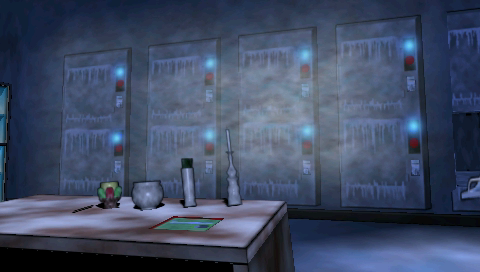 ...So, did you find any clues inside those lockers? 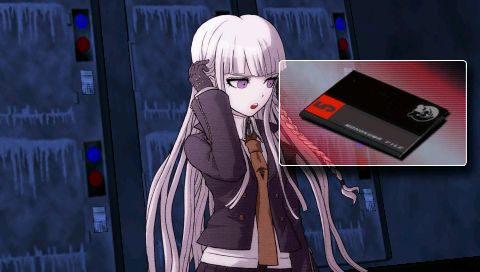 That notepad was yours, Kirigiri-san. Why... do you think so...? ...It's difficult to see how any of them could belong to one of us. We've only been able to go up to the second floor recently, after all. 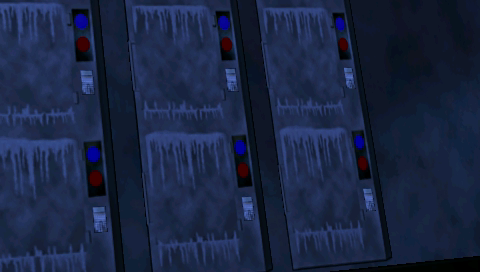 In other words, it's unlikely any of us ever used these lockers. 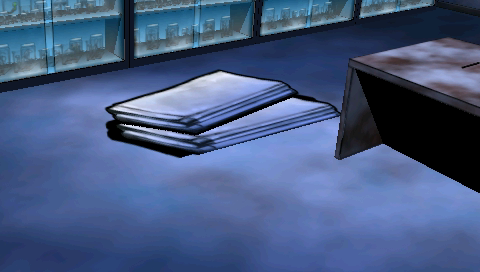 Why would I need to hide a notepad in a locker, anyway? Everything you say is true, but... The problem is what was written inside the notepad. Does that mean that video... was also real...? Naegi-kun. I think everything is finally falling into place. ...In the worst kind of way, unfortunately. I'm going to the locker room to check it out. I have to see what you've told me about with my own eyes. ...No, I don't need it. If what I'm thinking is correct, I can open that locker with my own ID card. It is, without question, my own locker, after all. 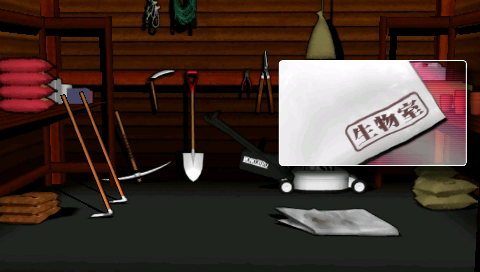 I found it in the secret room after you left. I don't have time to explain right now. You'd better just go and watch it yourself. You should be able to figure out what it all means when you do. 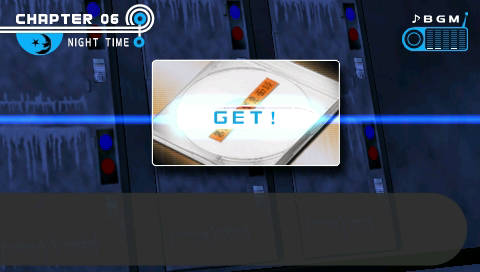 ...But I guess there's an important clue recorded on this DVD? Emergency Interviews DVD was added to your notes. Will you listen to my silly problems just for a minute...? ...Is that I wasn't able to put my feelings in order. Is she talking about her father...? I will probably never be able to answer those questions. Not now, not ever. I can't let the mastermind get away with it. I want to win. And now I have one more reason to do so. 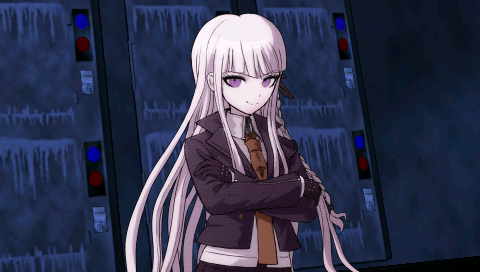 I could see flames of determination deep in Kirigiri-san's eyes. So... how come I feel this way? Why is his misfortune affecting me so much...? ...It was a very sad smile. I think that's enough silly problems for today. There are still things left to do if we want to win. There is always a single truth. It may be just, but it may also be evil. It may lead to the best outcome, but it can also lead to the worst. Isn't being an optimist my one good quality? 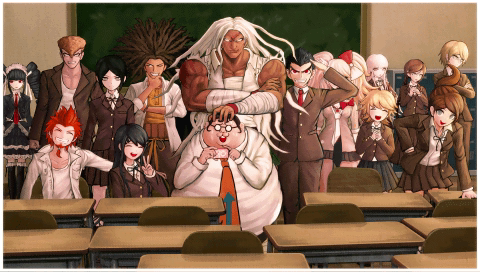 We'll meet later, at the final school trial. 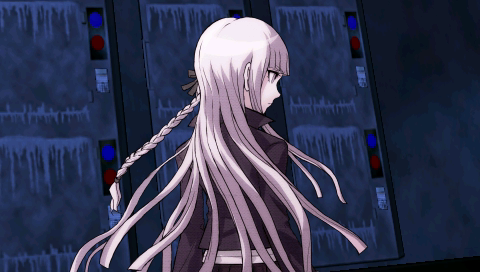 With those parting words, Kirigiri-san left the biology lab. I should be able to watch it in the A/V room. But, whatever happens I won't give up. I will never give up...!